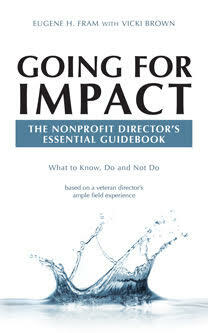 How Long Should A Nonprofit Director Serve? Nonprofit board terms are like clothing sizes. They come in all shapes and sizes! Some terms are as short as two years, with the charter specifying the person remain off the board for one year. Other charters have systems that allow a director to remain for decades. The most common format allows the director a two three-year terms, with some exceptions relating to whether the person is originally filing an interim year or chairs the board in his/or her final year. Because the turnover in nonprofit boards are much more rapid than the turnover in the for-profit sector, nonprofit directors are frequently seen as “birds of flight” by those in the organization. This is especially true with persons who make their careers in the organization. It raises the questions of how an organization can retain the productive directors in influential decision-making positions? Some attempt to make the effort through creating honorary boards. But the decision-making prowess of these productive former directors is lost. Beside asking productive directors to return after a one year sabbatical, I and my viewers would appreciate comments about other processes that organizations use to retain productive directors. ← Nonprofit CEOs & Board Directors: How Expert Is Your CFO?